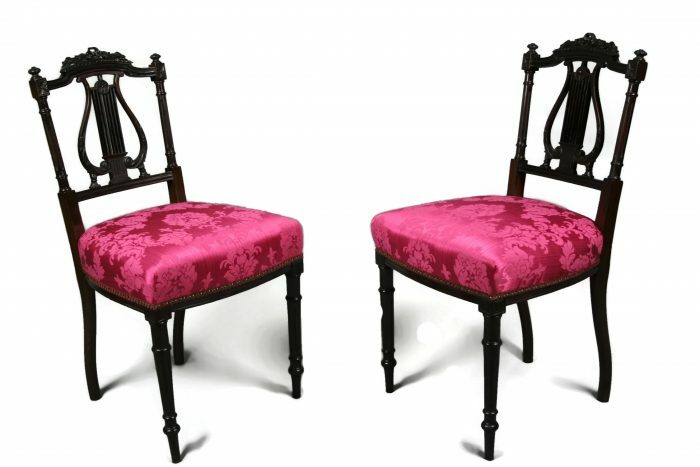 A pair of beautifully proportioned and delicate mahogany chairs with all the hallmarks of Sheraton. 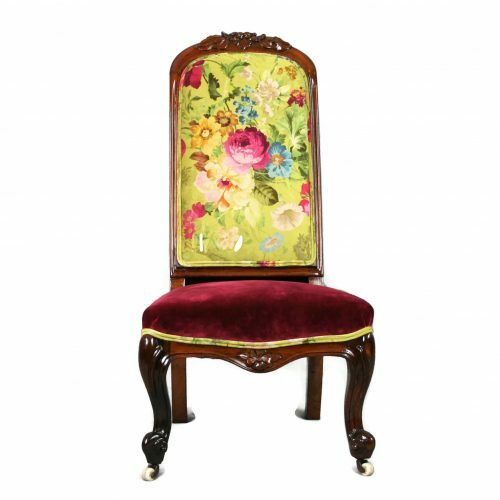 They have the classic geometric back with ornate carvings of rosettes, flowers and ribbons around a central lyre. 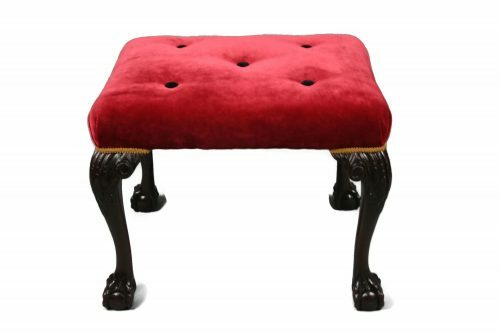 The front legs are tapered and Jappaned with arrow feet whilst the back ones are simple splayed mahogany. The corner blocks on the underside of the chair are screwed not jointed. This suggests these are a high quality replicas of Sheraton produced during a revival period in the late 19th Century. These are also highly desirable and collectible in their own right. 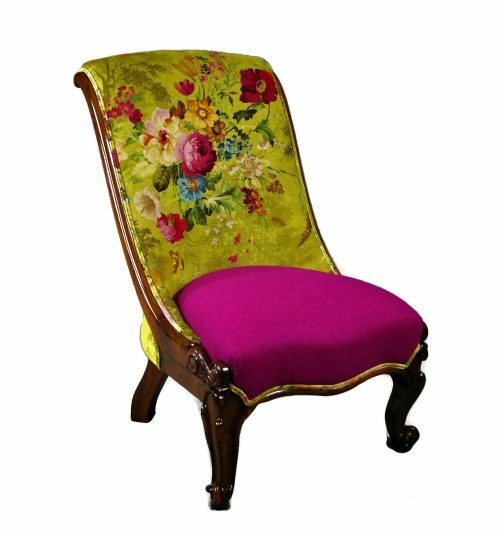 The chair has been fully restored using traditional techniques and materials and covered in a vibrant pink damask which compliments the colours of the wood.